Following the guilty verdict delivered against former Liberian President Charles Taylor by the Special Court for Sierra Leone, Oxford University’s Christine Cheng discusses some of the problems with international justice as currently practiced. The Center for Global Development’s Vijaya Ramachandran and Julie Walz look into where US funds intended for quake relief in Haiti ended up going. “The U.S. Department of Defense, which took responsibility for security in Haiti in the aftermath of the quake, was the largest recipient. The remainder of the funds went to large international NGOs, private contractors, and other agencies of the U.S. government such as the Federal Emergency Management Agency (FEMA) and Health and Human Services (HHS). 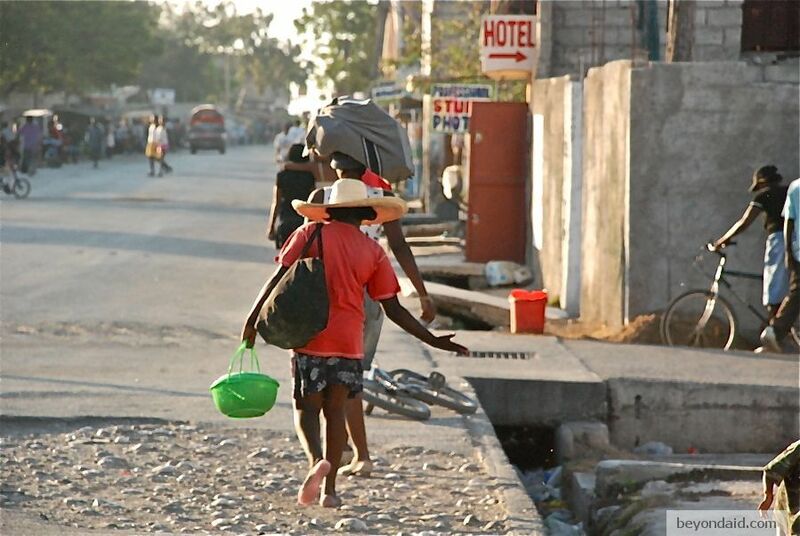 As we have blogged previously, less than one percent went to the Government of Haiti to rebuild public institutions. And Haitian-led NGOs have barely received any money at all. Inter Press Service reports that critics of the new US National Bioeconomy Blueprint say it emphasizes economic interests at the expense of social and environmental ones. A new Centre for Research on Multinational Corporations/India Committee of the Netherlands report details rights abuses at Indian textile plants that supply Western clothing companies. “Let’s be clear: What killed the civilians walking the streets of Baghdad that day in 2007 was not ‘war crimes’ but war. And that holds for so many thousands of other Afghan and Iraqi civilians killed by drone strikes, air strikes, night raids, convoys, and nervous checkpoint guards as well. The Overseas Development Institute’s Jonathan Glennie asks if some donors are better than others. In an interview with the Guardian, Stanford University’s Paul Ehrlich argues that both the numbers and behaviour of people pose a threat to the future of humanity.